ROSEBURG, Ore. -- An Umpqua Community College student who is being hailed as a hero is out of the hospital, but he has a long recovery ahead. 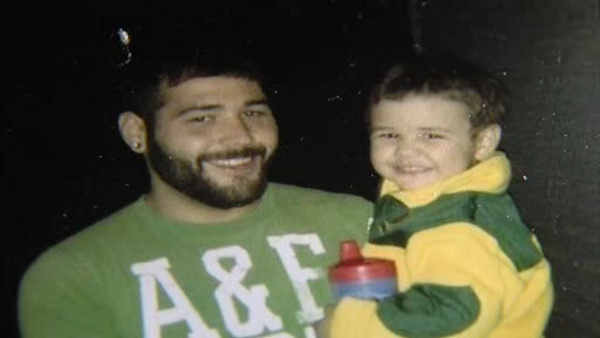 Army veteran Chris Mintz took multiple bullets while trying to block the gunman from entering a classroom last week. Mintz also broke both legs in the attack, and will need to re-learn how to walk. He went through seven hours of surgery. A GoFundMe page for Mintz's medical bills has raised nearly $800,000. Mintz, a student who helped evacuate his classroom nearby, sounded a fire alarm in another building and ran back to help. He was shot as he came through the classroom door. After Mintz fell to the floor, wounded, he looked up at the shooter, said it was son's birthday and asked the gunman to stop, his aunt Wanda Mintz said. The gunman opened fire again, shooting Mintz but somehow missing vital organs. "He's lucky to be alive, and we're grateful he's alive," she said of her 30-year-old nephew, a student at the college. Chris Mintz was born and raised in Randelman, about an hour and a half west of Raleigh, North Carolina. His son, Tyrik, turned 6 on the day of the rampage, Wanda Mintz said.